I’m delighted to answer questions because there is always more to say on this topic. The article, How to Tell The Difference Between Intuition And Your Thoughts brought up a lot more questions on this topic. It answered a lot too but, I couldn’t leave any reader hanging – so here are more of your questions answered. If you make a huge issue of not being able to differentiate between the rational mind/ego voice and the voice of your intuition you’ll get stuck on what you think you can’t do. The law of attraction applies to intuition development as much as it applies to anything else in life. You must focus on what’s going right with your intuition and focus on developing more confidence and faith in it and yourself first. When you feel good about yourself you’ll get the answers more easily. If you berate yourself and wonder why you can’t differentiate between the two all the time you’ll only attract more of that befuddled state of mind. Do something else for a while. Enjoy your life and see how much of it is going right. When the answers won’t come don’t “try” so hard. Let go of trying to make something happen and you’ll return to a more neutral state of mind where you will then hear your intuition. When you “try” over and over and get frustrated you block your psychic ears from hearing. Think of the phrase, “my blood is boiling.” Now see a cartoon figure with smoke coming out of the cartoon figure’s ears. This is what’s happening to you when you keep trying and getting frustrated. You can’t “hear” anything! Relax. Do something else and forget about it for a while. Develop an attitude of, “If the answer comes to me fine. If it doesn’t I know I’ll be okay.” Let go and detach. Say, you want to buy a new car and you’ve identified the car you want and now you’re visualizing owning it but, you get the feeling you shouldn’t buy now. Asking your intuition same question over and over will not change a thing. The gut feeling you got when you first asked is not going to go away. Let’s say you’ve continued asking your intuition for an answer anyway, as to whether you should buy this car and now you keep getting conflicting answers. You’ve become completely confused and don’t know what to do due to the different answers you’re getting. Look at your finances realistically. If you realize that it’s not the right time to take on more debt due to some other upcoming expenditures – then this is why you keep getting conflicting answers. Perhaps you have a inkling you may be laid off but, there’s nothing conclusive yet – don’t ignore you’re intuition. Maybe you’re just being impatient and want that shiny new car now, when it would make more sense to save up a larger down payment so your payments would be smaller. There can be me a million reasons why your intuition is saying, ‘no’ when you want to hear, ‘yes.’ If you relax and go within you will find that you know why too. You’re mixing-up intuitive signals (which are feelings) not to buy now with thoughts pertaining to your desire to have a new car now. Each time you ask you keep getting a suspicion or a ‘feeling’ that you shouldn’t be buying along with a ‘thought’ that you should buy – and this is why you keep asking over and over. You believe the answer isn’t clear when in fact it is. It’s your ego’s desire to have the new car now that is the problem. Go with your gut – always. The conflict is not really that you keep getting conflicting answers but that you are ignoring your feelings about the answer you’re getting. Does this make more sense now? Each situation will be different for every person but, remember constant conflicting answers indicate that you’re trying to get the answer you want to hear rather than listening to the answer you got. I hope this helps clarify things further for you. If you enjoyed this article please share it the social media of your choice. Thank you~! P.S. 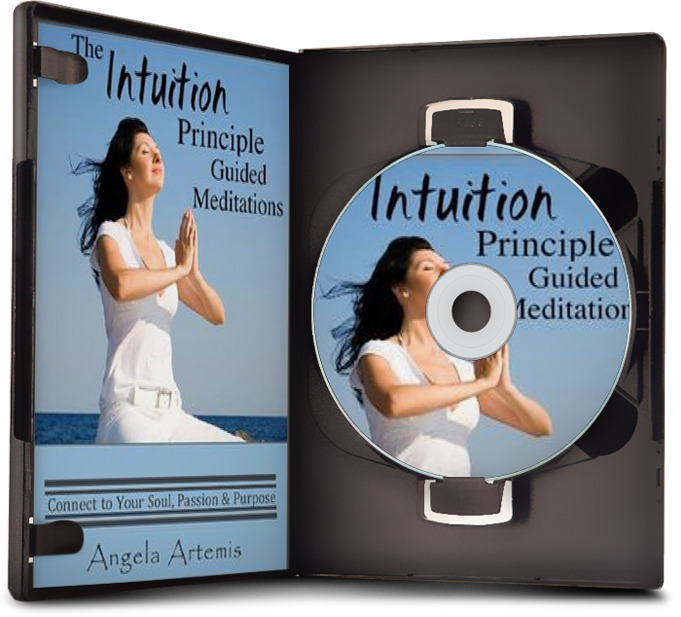 Don’t forget to sign up for my news letter to receive new posts right in your in-box and for updates and special subscriber offers and to get your free book: The Intuition Primer. Angela, this is a fantastic topic. Thank you for this post. I’m quite familiar with that feeling of un-clarity or conflicting intuition. Like you say, the more I’ve tried to get clear and be rid of the conflict – the more unclear it gets. You words ring very clear – I get it! 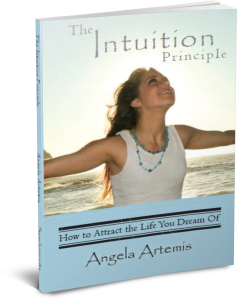 Hi Angela — I like what you say about how “trying” doesn’t work with intuition. When I am “trying” to solve a problem, it physically feels like I am pushing against a solid wall. What I need to do is back off and be in the space next to the wall, and what I need will arise in there. I love how you put this. I totally agree with you. Get away from “trying” to solve the problem and your mind will reach out to the Universe and easily bring back the answer. I definitely know the experience of asking over and over again the same question and not trusting what comes up 🙁 I get more confused after that. It usually happens when I am overly attached to the answers. I now try to maintain an objective mind when I am seeking for answers for myself. I visualize taking my ego out of the situation I am in. I can totally relate to this post that you are writing. Thumbs up to the advice that “remember constant conflicting answers indicate that you’re trying to get the answer you want to hear rather than listening to the answer you got.” It is definitely useful advice! Confusion is such a source of frustration for people especially when you’re desperately trying to have faith in your intuition! It makes you feel like you can’t trust your intuition or that it must not be accurate. Letting go and allowing whatever is meant to me be – to be is the only sane way to deal with this issue. When we calm down we’ll see what message we have been refusing to acknowledge. Your intuition doesn’t always tell you what you want to hear. It’ll tell you what you need to hear, but soo many times we enjoy locking ourselves in. Feelings are subtle. The mind is not. However, the mind also screams the loudest but has the least impact. So, considering that, following our intuition is a good thing to do. A nice article as always, Angela. Yup. Intuition tells you the right thing to do – which is not always the same as what you want to do. So true- the mind does scream the loudest which is why it mixes up so many people. Thank you Sol. It’s a pleasure having you visit. 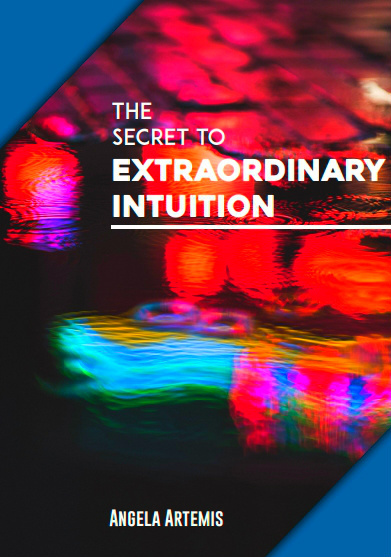 Intuition truly is a wonderful gift and it’s a gift we all have, don’t we, but we need to honor it and use it rightly to know its true potential. You are a wonderful example and encouragement in this regard. Many thanks. So true indeed. Intuition is a wonderful gift and guide in our lives. Thank you for such a nice compliment. I truly appreciate it. As you rightly point out, being able to access our intuition requires a calm and composed state of mind. Doubts, fears, expectations, anxiety can all cloud our intuition. I would know since this has been my own experience. So even though the answer was right in front of me, it did not feel right because my intuition was messed up. One way I try to maintain a calm and composed state of mind is to meditate. If it is important that we rely on our intuition, then it is equally important that we meditate so that we remove the filters that affect our intuition. Meditation is paramount to developing intuition – you’re so right to point this out. I’m glad you’ve overcome all your past obstacles with your intuition. Thanks Angela!! Just what I needed to hear today! I find that when I try to go against my intuition, it feels like pushing opposing magnets together. If I insist on proceeding, I get a sinking feeling. I “know” it’s wrong. I agree that intuition and logic can be used together–that’s best. But if they conflict, I’ve learned to go with my gut. What a fabulous way to describe it! I love that. Oh boy, I know that sinking feeling all too well when you just know you’ve made a mistake. I couldn’t agree more. When you can’t reconcile intuition and logic – go with intuition. The “logic” is usually your fears. Good advice, Angela. Especially regardign Law of Attraction. So true. I also find that the right anser is oftent the first thing that comes to mind. When you ponder too much that’s when you start using logic over intuition. I also fnd that signs come out of nowhere which is why I like your advice about doings ometing different. Forget about the problem, do something you love and the answer comes. The LOA is definitely applicable in intuitive work. So true – go with your first gut response and stop pondering over it! Pondering leads to use of the rational mind. I like to take a walk when I need clarity. It helps and many times, as you say, we get signs at those times. Great observation about having created an obstacle within. That makes a lot of sense. I would interpret that to mean having created a rigid belief pattern of how things are “supposed” to be which might then conflict with the intuitive guidance I was getting. The conflict between the two would create the conflicting answers you’re getting. That is very true about why one creates conflicts internally. It can be difficult sometimes to recognize, admit to, or understand why. Dithering can either be because of the conflict or because of a lack of understanding within – which one is the one your intuition is telling you about and which one is the desire from the ego! Yes, the conflicting answers definitely come from a conflict within. It can be so hard to tell at times, when the ego is masquerading as your intuition. It’s so true that we have difficulty accessing intuition when we are busy trying instead of being. I like to let things be for a while until I can get some more clarity. Than, intuition becomes easier for me to understand and follow. It’s so great to hear you say that. When we let go and just “be” we will definitely hear our intuition more easily. “Trying” just doesn’t work. Angela: Great article. I know you said that you love speaking on intuition and I love hearing what you have to say. 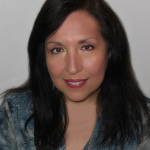 You are definitely my expert when it comes to intuition and I think it is so important to be able to easily tune in to your intuition. I thought this article had so much valuable information in it. Thanks for passing it along. I really appreciated what you said about using intuition and logic together. It makes so much sense. In the case of recurring conflicting answers you have to look at logic also. Somewhere along the line you’re choosing not to hear your intuition. There are other times though, that intuition and logic will not line up and you will have to be fearless and follow your intuition. This really helps Angela. thank you! I’m so glad you found the article useful. Hope all is well with you.